These are some of our most frequently asked questions. Click on each question to see the answer. Every person differs on the amount of MIP Colostrum that is needed. We recommend taking 1 to 2 MIP Colostrum capsules or 1 tsp MIP Colostrum powder daily. Take the capsules with a glass of water 20 minutes before food. MIP powder is usually mixed into water, tea, juice, health shakes, yoghurt or soft foods such as applesauce or mashed potatoes. In sport: for maximum benefit, take an additional 2 capsules or an additional teaspoon powder directly after sport or exercise. For suggested powder use for Pets and other Animals, please click the question below ‘can animals benefit from MIP Colostrum’. How does MIP Colostrum slow aging? Signs of aging become apparent when our body slows down in the manufacturing of Growth Hormones. Growth Hormones play a crucial part in repairing and reproducing almost all body tissue. Without these Growth Hormones, our cells tend to become impaired and less elastic. By the time we are in our early eighties, our body almost stops the production of these Growth Hormones and aging factors are at their peaks. MIP Colostrum consist of active Growth Factors that revers the signs of aging. These Growth Factors are natural hormones produced in large quantities in MIP Colostrum and work to revitalize your body’s cells at a much faster rate. According to a study conducted by Dr Daniel Rudman in 1998, the results obtained by treating 26 men, whose ages ranged from 61 years to 80 years, with colostrum supplements were astonishing. After the treatment, the patients had lost a considerable amount of useless body fat, their bone density increased, body muscle mass increased and skin elasticity increased. Due to this, the professors who conducted the study arrived at the conclusion that the Growth factors found in Colostrum were the ultimate answer in fighting aging. Can MIP Colostrum help me lose weight? MIP Colostrum contains organic compounds such as Leptin and IGF-1. These compounds help prevent unnecessary fat from accumulating in the body. Leptin regulates your appetite as well as your metabolic activity. The bovine colostrum manufactured by MIP contains IGF-1, which is an important Growth Factor. IGF-1 metabolizes the excessive body fat that is useless to the body, to produce energy for cellular respiration. This results in a slimmer you! MIP Colostrum has key ingredients that help burn body fat rather than muscle mass. This leads to an increase in the lean mass of the body, which is regarded as healthy weight gain. If you take part in demanding activities MIP Colostrum guarantees you great benefits. The Growth Factors help in building muscle mass, while eliminating excessive body fat through its oxidation. This not only helps you develop an athletic body, but also releases abundant energy for you to take part in workout. Can MIP Colostrum help with depression? Depression can be caused by a number of factors that either affects the body directly or indirectly. One such factor is a lack of minerals and vitamins in a poorly managed diet. Another factor may be the use of anti-biotics that are not accepted by the immune system of your body. MIP Colostrum is a source of vital natural minerals, organic compounds and natural antibodies, which help relieve depression or distress your body is facing. Can children take MIP Colostrum? MIP Colostrum powder can be consumed by children above 12 month, capsules and chewable tablets for children age 5+. Due to the fact that children do not possess a very well developed and strong immune system MIP Colostrum has proven very beneficial to children. The consumption of MIP Colostrum boosts their immune cells and enables them to combat various illnesses and diseases. It further helps in developing and maintaining the gut wall so that they can take in more nutrients. MIP Colostrum has several Growth Factors that aid in encouraging a healthy physical growth as well as mental development of your child. For children under 12 months old we suggest to consult your physician. Can animals benefit from the consumption of MIP Colostrum? How to use MIP Colostrum powder? MIP Colostrum powder can be used in a number of different ways. For example, if you have any cuts or irritation on your skin you could sprinkle some of this powder on the affected area. If you are suffering from any oral problems like sensitive gums or teeth, you can put some powder along the line of your affected gum or tooth and let it dissolve. MIP Colostrum can also be gargled to aid an inflamed or sore throat. You will see that in no time at all, your ailment will have been reduced to a tolerable stage. What is IgG and what are the benefits? Immunoglobulins (Ig) are proteins (also known as antibodies) produced by the immune system. They attach to foreign substance and disease-causing microbes (such as bacteria) in the body to assist in destroying and removing them. There are five classes of Ig’s: IgA, IgG, IgM, IgD and IgE, which play different roles within the body. In a healthy person, IgA, IgG and IgM are the most prolific antibodies present. IgG antibodies are found in all bodily fluids and are the smallest but most common type of immunoglobulin found in the body. For this reason consumption of IgG in colostrum supplements is thought to assist in improved immune function and good health. How much IgG does MIP Colostrum contain? MIP Colostrum is 100% pure undiluted Colostrum. The average IgG amount in MIP Colostrum powder is around 18-22%. Therefore MIP Colostrum contains 18 to 22g IgG per 100g. The IgG content of a diluted colostrum product needs to be calculated as following: If you know the amount of Colostrum used in the formula, let’s say 20% Colostrum powder and 80% skim milk is used per 100g, you get only 3g IgG per 100g which is six times less than MIP Colostrum. Is MIP bovine Colostrum safe for consumption? 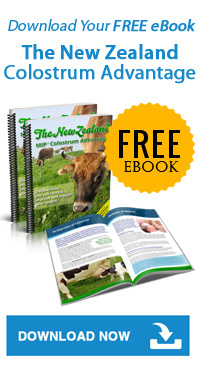 It is well documented that bovine colostrum has been used safely for years as a food supplement. It is a whole and natural food that can be consumed in ANY quantity. There are absolutely no toxicity levels. Through quality control management of the entire manufacturing process, from collection of the colostrum through to packaging and storage, it is ensured that the colostrum is delivered in perfect condition, certified to be fit for human consumption. Magnesium stearate is most commonly used in supplement manufacturing as a ‘flow agent,’ which helps ensure that the equipment runs smoothly. It is an effective way to help produce quality dietary supplements. Magnesium stearate is a magnesium salt containing stearic acid. Stearic acid is an 18 carbon long saturated fat, common in our food supply. It is readily metabolized to oleic acid (the monounsaturated fat found in olive oil). Stearic acid is unique among all saturated fatty acids because it does not raise LDL cholesterol levels. It is easy to get 5 grams of stearic acid (5,000 mg) by eating a bar of chocolate. By comparison, MIP Colostrum capsules contain 2% stearic acid or 20 mg of stearic acid per capsule. Stearic acid is also a common fatty acid found in meat, poultry, fish, grains, eggs, butter, and milk products. In meat, it is 1/3 of the saturated fat. The average intake of dietary stearic acid in American women is 5700 milligrams a day and in men 8400 milligrams a day. The point is that the amount of stearic acid ingested in a supplement is a small percent of a fatty acid that you consume every day as part of your diet, a type of fatty acid that is not problematic in the first place. The fat should be removed for two reasons: 1) because it does not contain any biologically active proteins. In fact by removing the fat, the concentration of the biologically active proteins (generally IgG is the one measured) is increased. 2) fat is prone to oxidisation, so the shelf life would be reduced if it was present. What is the Shelf Life of MIP Colostrum? Please refer to the expiry date on the product page. MIP Colostrum products are natural supplements, which are processed and packaged to maximise shelf-life while retaining the nutritional content. Our products are guaranteed to retain the full nutritional content up to and, if stored correctly, beyond the expiry date. The team behind MIP Colostrum has been in business for nearly two decades. MIP Colostrum has been shipped to over 70 different countries resulting in thousands of satisfied loyal customers. When ordering from us you can be confident that you will be receiving a pure product of the highest quality. Can I return a product I received? Please label as ‘Return to Sender’ and enclose a copy of your order confirmation. 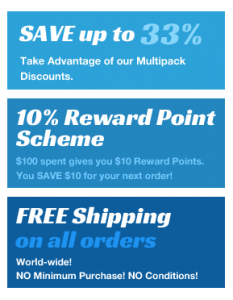 We will refund the product cost less shipping costs back to your Credit Card. Please note that we are unable to guarantee specific results from our supplements. We do, however, guarantee that the products we offer are of the highest quality obtainable.